Book historians have long been interested in Edith Wharton’s transition from “lady to author.” In the late 1950s, Millicent Bell examined the archive of the publisher Charles Scribner to understand Wharton’s growing professionalism and awareness of the market value of her work. With the transatlantic, and transnational turn in book history, scholars have paid attention to the way Wharton managed her career on both sides of the Atlantic, skillfully negotiating rights from book, film and drama sources. “Like other canny literary operators sensitive to the potential of new media outlets for their literary material,” wrote David Finkelstein, “Wharton extracted maximum exposure and financial benefit from appearances in multiple media forms.” This remediation from print to new media is of course of interest to digital humanists, who have brought innovative perspectives to Wharton studies. Another avenue of inquiry has been opened with the digitalization of early-twentieth-century periodicals and the study of the various forms in which Wharton’s texts appeared. This session will showcase new approaches in book history and digital humanities to shed light on Edith Wharton’s work and relationship with her publishers and readers. It will bring together “traditional” and digital humanists to illuminate Wharton’s global career and reception of her work across borders. It will also identify future lines of inquiries and innovative methodologies that will help us better understand one of the most important writers of the early twentieth century. This entry was posted in CFP on January 27, 2017 by Donna Campbell. In her memoir, A Backward Glance (1934) Wharton wrote that the New York of her youth was “as much a vanished city . . . as the lowest layer of Schliemann’s Troy.” In her 1899 story “A Cup of Cold Water” the protagonist walks the city on a winter night, moving down Fifth Avenue to Thirty-Fifth Street before he turns east toward Broadway’s middle-class precincts. The story heralds Wharton’s use of New York as a setting for many of her best-known works of fiction. We invite papers that consider the relevance of New York to her depictions, early and late, of urban geography and architecture, social and ethnic diversity, capitalism and cultural entropy, and the “vanished city” of her youth, among other approaches. Proposals might address stories such as “The Other Two” (1904), the novellas of Old New York (1924), and novels such as The House of Mirth (1905), The Custom of the Country (1913), The Age of Innocence (1920), The Mother’s Recompense (1925), and Twilight Sleep (1927). Also welcome are comparative analyses with alternative visions of New York by writers such as Abraham Cahan, F. Scott Fitzgerald, and Henry James. This entry was posted in CFP on January 26, 2017 by Donna Campbell. 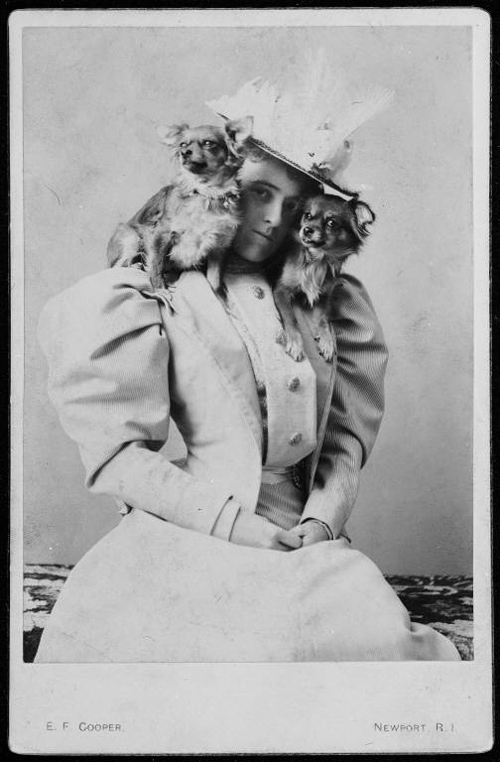 Happy 155th Birthday to Edith Wharton! On January 24, 1862, Edith Newbold Jones, later Wharton, was born in New York City. Happy birthday, Edith Wharton! Your novels, plays, stories, essays, and poems have made a lasting contribution to literature. And would that we could all balance tiny dogs on our shoulders with as much aplomb as you do. This entry was posted in Announcements on January 24, 2017 by Donna Campbell. We invite papers exploring any aspect of religion, spirituality, and the sacred in Wharton’s work, including the afterlives of religion in gothic, aestheticism, or satire. How does Wharton conceptualize belief, spirituality, or religious tradition in modernity? What place does the sacred have in her writing, and where are the sacred spaces in her work? Are there distinctive features to Wharton’s discussions of religious architecture or sacred art? What interactions take place between Wharton’s fiction and the Bible, or religious texts and genres? How does Wharton’s anthropological eye address religious movements, practices, or characters? Do recent studies in religious history illuminate new aspects of Wharton’s fiction? Can Wharton’s writing contribute any insights to current post-secular discourse? What does it mean to read Wharton in an age of religious terror? We welcome studies of Wharton in relation to Islam, Judaism, and alternative spiritualities addressed within her work, in addition to the Christianity most familiar to her. We encourage attention to lesser known texts, such as “The Seed of the Faith,” as well as canonical novels like The House of Mirth. Essays should be 4,000-6,000 words in length and submitted online to The Edith Wharton Review with a note that it is for the “Wharton and Religion” Special Issue. Deadline: August 1, 2017. This entry was posted in CFP, Edith Wharton Review on January 23, 2017 by Donna Campbell. This entry was posted in EWS Business on January 22, 2017 by Donna Campbell. Drizou, Myrto. “‘Go Steady, Undine!’ The Horror of Ambition in Edith Wharton’s The Custom of the Country.” Gothic Landscapes: Changing Eras, Changing Cultures, Changing Anxieties. Eds. Sharon Yang and Kathy Healey. New York: Palgrave Macmillan, 2016. 125-45. Malmgren, Carl D. “Art and Life in Edith Wharton’s ‘The Muse’s Tragedy. '” Mosaic: An Interdisciplinary Critical Journal, vol. 49, no. 4, 2016, pp. 129-144, https://muse.jhu.edu/article/640855. Tisdale, Bethany Dailey. Creating the Self: Women Artists in Twentieth-Century Fiction. 2016. Bex, Sean. “Marketing Professionalism: The Transatlantic Authorship of Edith Wharton.” Neophilologus, vol. 100, no. 3, 2016, pp. 503-519. Goldsmith, Meredith. “Of Publicity, Prizes, and Prestige: The Middle-Zone of the Marketplace in Hudson River Bracketed.” American Literary Realism, vol. 48, no. 3, 2016, pp. 232-250, http://muse.jhu.edu/article/614593. Louvel, Liliane. “Declinaisons Et Figures Ekphrastiques: Quelques Modestes Propositions [Special Issue].” Arborescences: Revue d’Etudes Francaises, vol. 4, 2016, pp. 15-32, http://www.erudit.org/revue/arbo. Grant, David. “Trusting America: Undine Spragg’s Revolutionary Break in the Custom of the Country.” Canadian Review of American Studies/Revue Canadienne d’Etudes Americaines, vol. 46, no. 1, 2016, pp. 86-115, http://muse.jhu.edu/article/614919. Clarke, Michael Tavel. “Between Wall Street and Fifth Avenue: Class and Status in Edith Wharton’s the House of Mirth.” College Literature, vol. 43, no. 2, 2016, pp. 342-374, http://muse.jhu.edu/article/614319. Wagner, Johanna M. “The Conventional and the Queer: Lily Bart, an Unlivable Ideal.” SubStance: A Review of Theory and Literary Criticism, vol. 45, no. 1 , 2016, pp. 116-139, http://muse.jhu.edu/journals/substance/v045/45.1.wagner.html. Pierpont, Claudia Ruth. American Rhapsody: Writers, Musicians, Movie Stars, and One Great Building. Farrar Straus & Giroux, 2016. This entry was posted in Announcements on January 11, 2017 by Donna Campbell. From The New Yorker, on the well-known performer and monologuist Ruth Draper. Does this remind you of James’s advice to Wharton to “Do New York”? This entry was posted in Wharton in the News and tagged Edith Wharton in the News, Wharton in the News on January 3, 2017 by Donna Campbell.